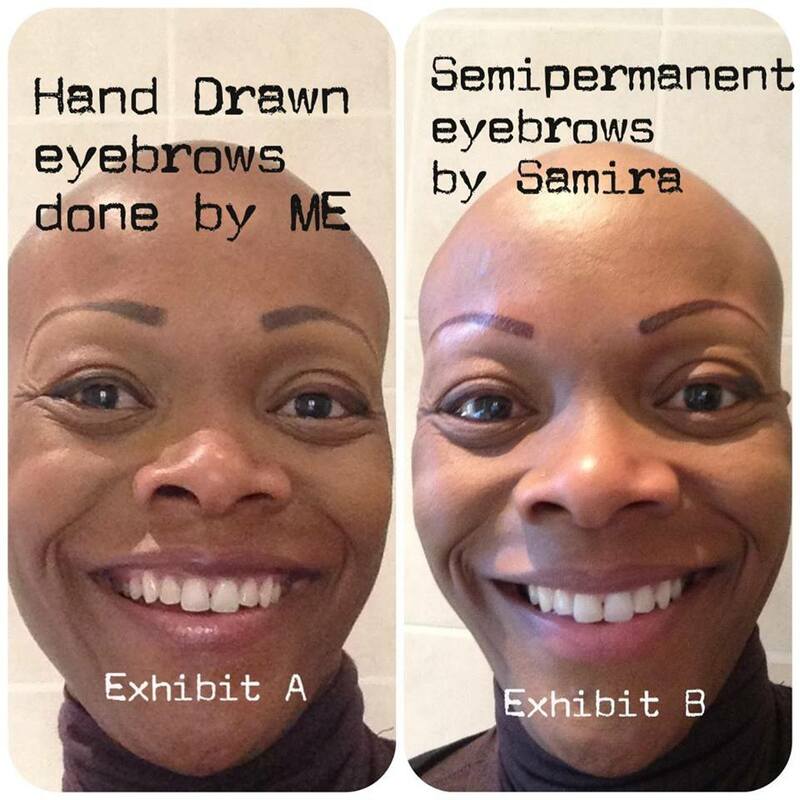 For those of you following my #alopecia tales - here is an update on my eyebrows. You may recall that since I have #alopeciaUniversalis - I have no eyebrows or eyelashes. 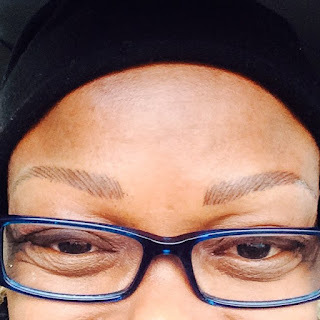 Almost 2 years ago - I decided to get permanent makeup to create replacement eyebrows... these have long since faded away so I've had new ones done. You can see that these ones are using the brush strokes technique. This pic was taken immediately after the procedure BEFORE the healing and peeling process. I'll post an update later this week or so - to show you what they look like now.